For any successful general construction contractor, whether you perform commercial, industrial, or energy construction work, you must complete projects on budget, on time, and at top quality. You also must manage supplying the necessary materials, equipment, labor, and subcontracted services to get the project done, and your current project management accounting systems may not meet these requirements. Having your operations, financial data, payroll, project management, communications, scheduling, inventory, and equipment tracking centralized into a single database is critical to success; the centralized system gives you easy access to critical information with alerts, dashboards, and reporting. The specific requirements in each operation will vary – although, as a group, the general construction operations are similar – and some software solutions are more flexible in meeting your needs. Software is only part of the story, however. To ensure effective operations, you must develop specific processes to ensure the smooth flow of information into and out of the management accounting software. Therefore, software is only 50% of the solution; the remaining 50% is in developing, implementing, and training on the process enhancements required to use the software effectively. Low utilization of equipment and labor due to poor scheduling? Inability to prepare accurate estimates or track RFIs? 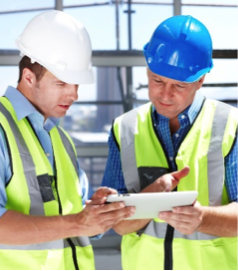 Timely reports to control material, labour, and equipment costs. Continuous monitoring of jobs by site and tasks. Purchase order control processing with integrated project management.